Bloubergrant is a resort town located in the Cape Town Metro Region of the Western Cape Province of South Africa. It is situated in a part of Cape Town which is known for its modern upmarket beach condos, many of which have access directly to the white, sandy beaches that have become the playground of kite-surfers, windsurfers, wave surfers and sun worshippers; never mind the incredible and much marketed views of Table Mountain. You are a mere 15 minute drive from the centre of Cape Town and the V&A Waterfront, and 10 minutes’ away from Canal Walk shopping centre, renowned for its sheer size and entertainment value. 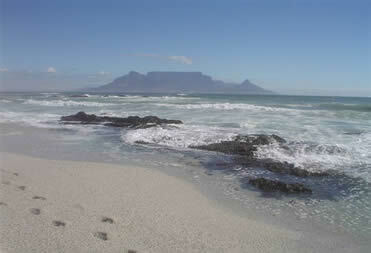 More importantly, Bloubergrant is the perfect springboard from which to explore the West Coast along the R27. Wine routes include the Swartland wine route and the Olifants River wine route, and many of the towns dotted in and around the R27 and N7 provide wine tasting - Malmesbury, Riebeek Kasteel, Citrusdal, Picketberg, Vredendal and Klawer, to name a few. The rest of the West Coast offers beautiful unspoilt beaches, some truly magnificent mountain ranges and a wealth of wild flowers in spring.